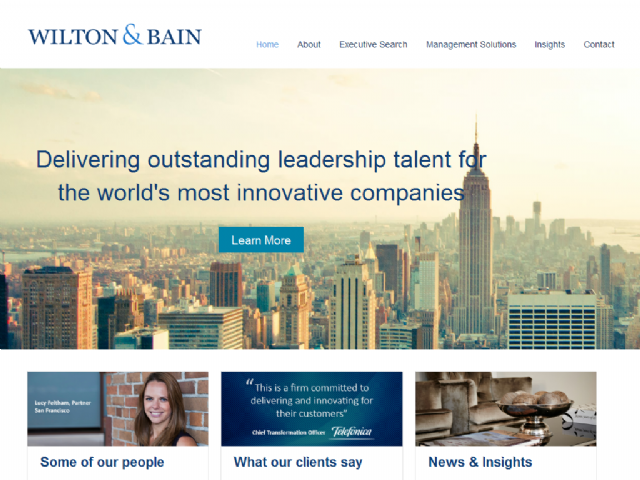 Wilton & Bain specialise in the Information Technology, CFO/CIO, HR, Media and Professional Services Industries, delivering outstanding leadership teams for the world's most innovative companies. With our extraordinary content knowledge and exceptional delivery results, we have built a business based on shared goals underpinned by shared ownership. When working with Wilton & Bain, clients are harnessing the collective delivery capability of the entire organisation. To reinforce this dedication, we have aligned our compensation model to our clients' interests. Bonus performance is predominantly aligned to successful completion of clients' mandates as opposed to revenue performance.